Living in a small rural town, it is easy to only think about what the town doesn’t have...bakery, bowling alley, cinema. But something that the town of Francesville has that even some mid size towns can’t claim, is a potter. 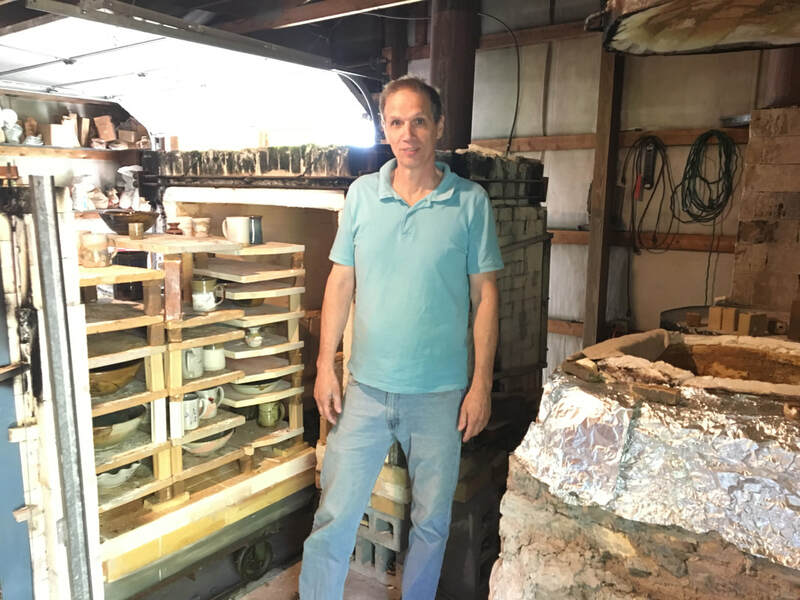 Stonewheel Pottery, located on Hwy 421, across from the Patio Drive-in, owned and operated by Gene Speicher, has been in operation for nearly 30 years. Born and raised in Francesville, Gene has had a passion for working with clay since high school. 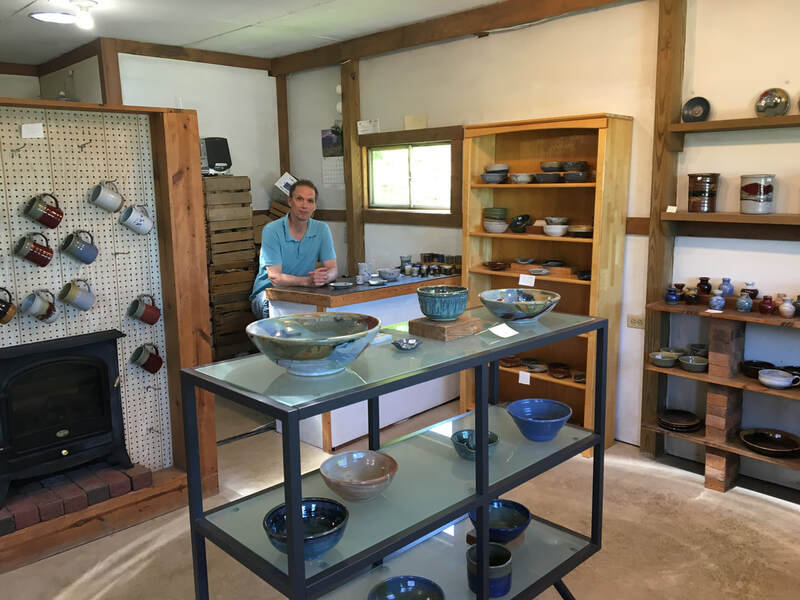 He studied at Ball State University where he developed this passion for pottery. Over the years he attended workshops to learn various techniques. Gene states, however, that the best education has been his own time and experience in working with the clay medium. Gene has a showroom that features mugs, general purpose bowls to ones with a specific purpose like a lemon squeezer and even an apple baker. He has large and small vases, as well as many interesting pieces that can be used for whatever the owner desires. What makes his products unique, are that no two can ever be exactly alike in form, coloring, or decoration. His glaze combinations have developed over the years to the basic style and colors you can see displayed in his showroom. His products are stoneware that have been fired in one of two brick kilns Gene has made by hand. His work gets fired at 2380 degrees Fahrenheit. All are food safe, dishwasher safe and hand signed. Stonewheel Pottery has been featured on both Eye on the Arts Show and Savor Indiana. 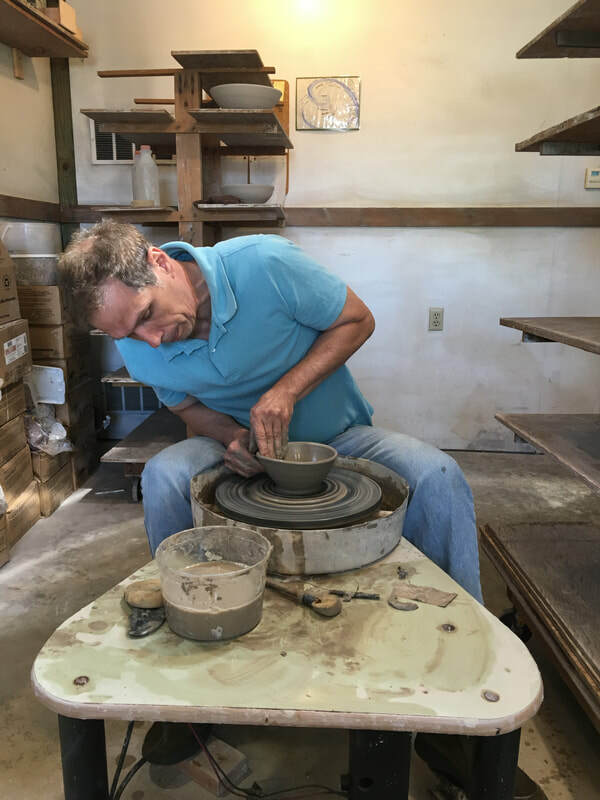 For at least the past 12 years, visitors to the Francesville Fall Festival have enjoyed Gene’s pottery demonstrations in the middle of Bill Street, just in front of the Gazebo by the Post Office. His work will be seen and for sale once again during that special weekend on September 14th, 15th, 16th. A few samples of Gene’s pottery will also be for sale in the Montgomery Mercantile which is scheduled to open Friday, June 15th. For those just learning about the Montgomery Mercantile, it is the former Fagen Pharmacy on Montgomery St. in the Francesville business district. It was gifted to the Uptown Project and renovated into a mini mall. But the best way to truly see the wide range of colors and styles of Gene’s work, is to stop in to his workshop at 4828 S. US 421 in Francesville. Stonewheel Pottery is generally open Monday through Saturday 8-6.